Sony India has launched the Xperia Tablet Z in India for MRP of ₹ 46,990. Sony Xperia Tablet Z was launched at MWC 2013 and now its available in India. 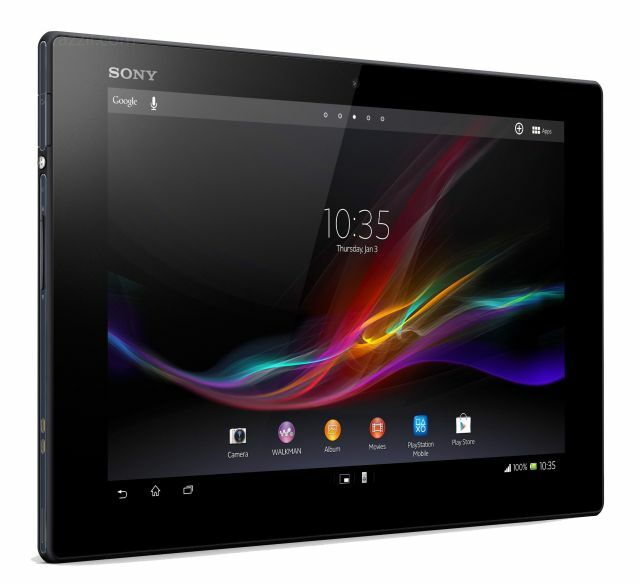 The Sony Xperia Tablet Z is slimmest 6.9 mm water resistant & dust proof tablet. The Xperia Tablet Z has 1.5 GHz Qualcomm Snapdragon S4 Pro Quad-Core processor, 10.1-inch HD WUXGA Mobile BRAVIA Engine 2 Display, 8 MP Rear camera with Exmor R and 2 MP HD front facing camera. Right now the tablet is running on Android 4.1 Jelly Bean but it’ll be soon be upgradable to Android 4.2 Jelly Bean. Sony India is currently offering the Xperia Tablet Z with a free 16 GB MicroSD card and premium case worth ₹ 2,990. And those who interested in EMI, the tablet is available in 6-month EMI schemes with zero percent interest.